for $600,162 with 10 bedrooms and 7 full baths, 1 half bath. 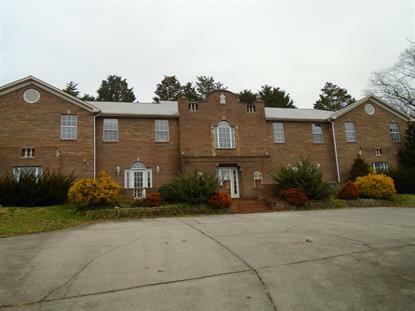 This 8,920 square foot home was built in 1997 on a lot size of 1.32 Acre(s). Cherokee Lake View Belcaro Federalists Design Mansion on rolling, wooded 1+ acre lot on top of a hill in secluded, country location with views of the mountains and lakes. This home has 17 rooms, 10 bedrooms and seven and a half baths. The rooms on the first floor include the grand foyer, dining, living, kitchen, family room, office and home theater. The second floor has 6 bedrooms and 4 baths and is connected on both ends by staircases. There are additional living quarters on both ends of the main house with two bedrooms, kitchenette and one bath each. The in ground pool and whirlpool have a view of Cherokee lake.